Be nicer to your body! Throughout history, drinking tea has been associated with a wide range of benefits from helping relieve stress to boosting the immune system. 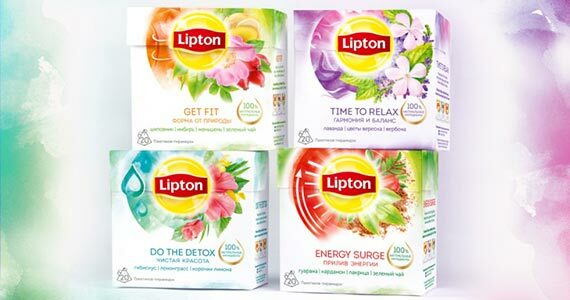 Lipton now offers a wide range of delicious teas to supplement a balanced diet and help make wellbeing a part of your everyday. Find your moment of focus with Lipton’s Magnificent Matcha, green tea blended with pure Japanese Matcha in pyramid tea bags. Bounce back to you with the new Lipton Detox Herbal Supplement with Green Tea, containing dandelion, nettle, and grapefruit. Detox is an herbal infusion that’s the perfect companion to clean eating. Relax, rewind, then press play again with Lipton Stress Less Caffeine-Free Herbal Supplement, containing cinnamon, chamomile, and lavender. Stress Less is a comforting, cozy herbal infusion to help you unwind. Carefully selected botanicals are blended with lavender essential oil that make every cup delicious. To sign up for this freebie, click through and enter your information.